Police activity at a home on East Perry street in South Aberdeen prompted the closure of the streets and notification to parents of students at Steven’s Elementary and Miller Jr High School yesterday. It was reported just before 1:30 PM Thursday afternoon, Aberdeen Police officers were called to the 300 block of East Perry Street for a report of a female yelling someone was trying to kill her, and the person had a gun. A 911 caller said she had roommates downstairs, and an unknown bald man was in the hallway with a firearm. 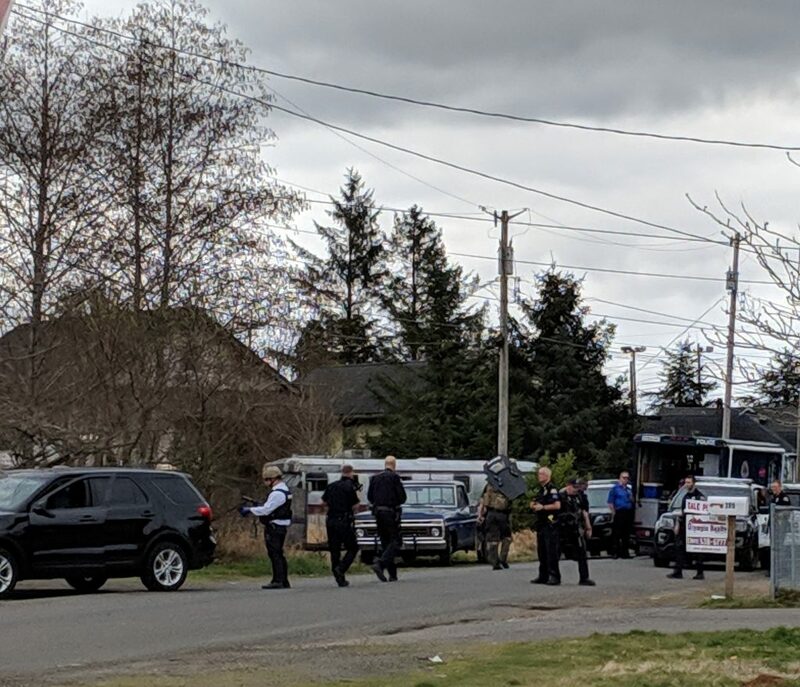 Officers from Aberdeen, Hoquiam, Cosmopolis, and deputies from the Grays Harbor County Sheriff’s Office, responded to the home. The neighboring schools were called and placed in lockdown as a safety precaution. The Aberdeen Fire Department was also called out and staged in the event they were needed. E 911 dispatchers talked the caller into coming out of the home, police on scene used their patrol car PA system to talk the second woman into coming out and speeking with officers. Officers entered the residence and verified there was nobody else inside with a firearm. The caller told officers the male and a female he was with left while she was calling police.